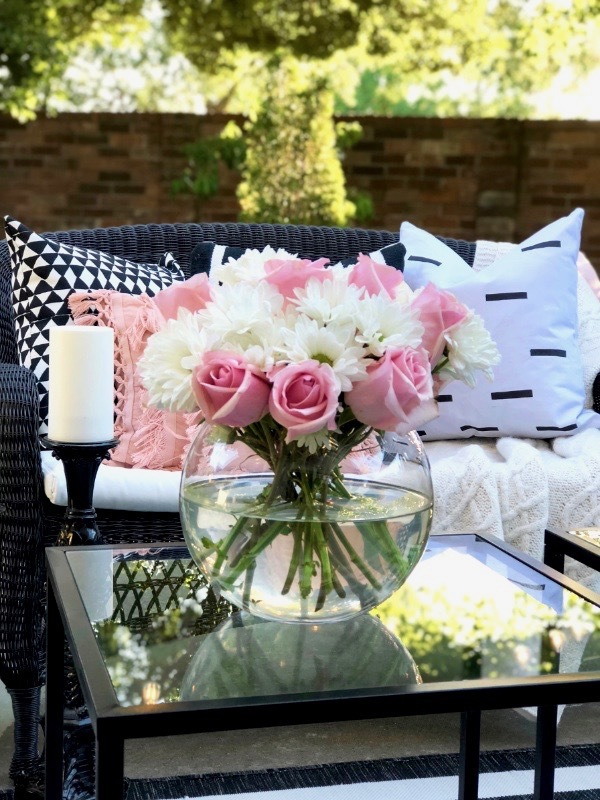 Welcome to my Summer Patio! 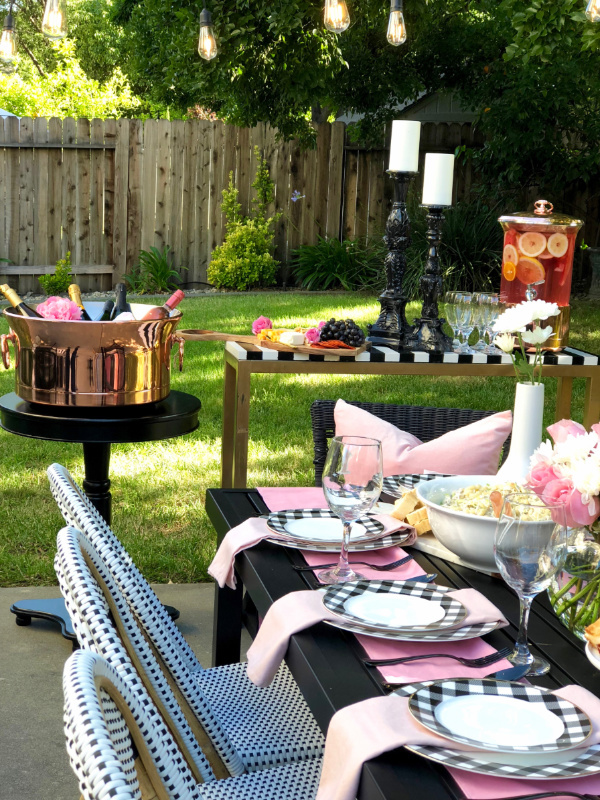 I'm so excited to be sharing my patio with my colleagues and blogger friends at HomeGoods. At the end of this post, i'll be sharing the names and links of everyone so you can be sure to check out their home as well! They're all spectacular! Summer is here and I couldn't be happier. 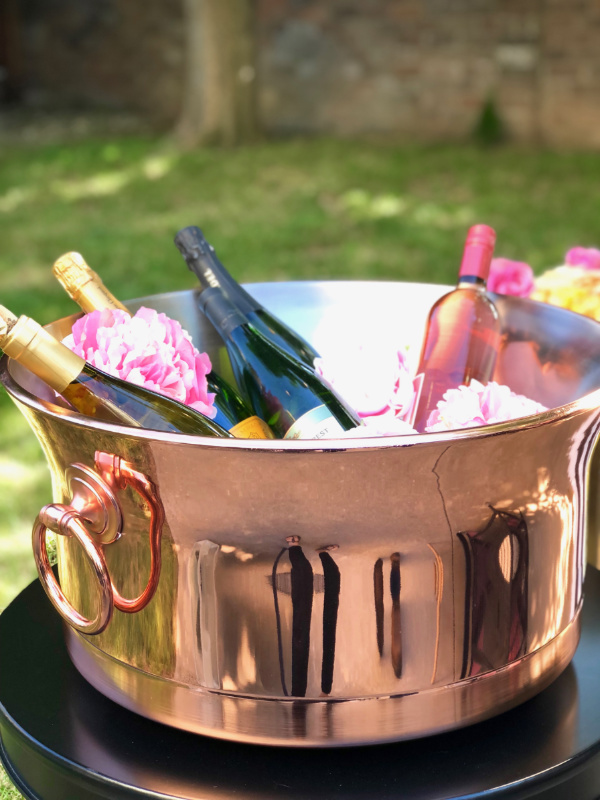 Summer is one of the most exciting seasons because it means lots of outdoor celebrations with friends and family. Isn't that the best? My backyard was a disaster before due to all the rainy weather that just ended. I gave myself the task of revamping my backyard to spend time outdoors with my kids and the 2 newest additions, my grand kids! It's truly crazy I already have 2 grand kids; that's life and we have to celebrate it and give thanks for all we have! My husband is a big fan of barbecuing during the summer. He wants to make everything outside, any excuse to cook. Well, no complaints over here! 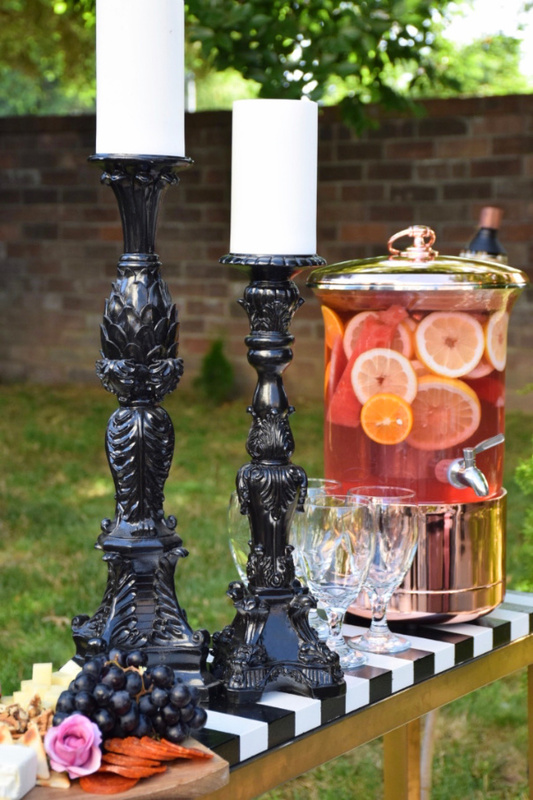 I hope you enjoy my post and you got some inspiration to start your backyard project for the Summer. 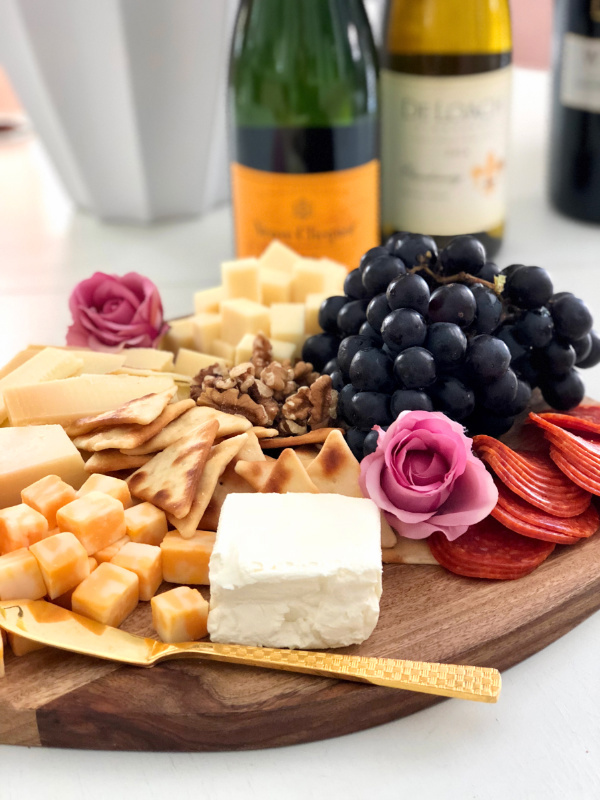 It's time to get together with friends and family! 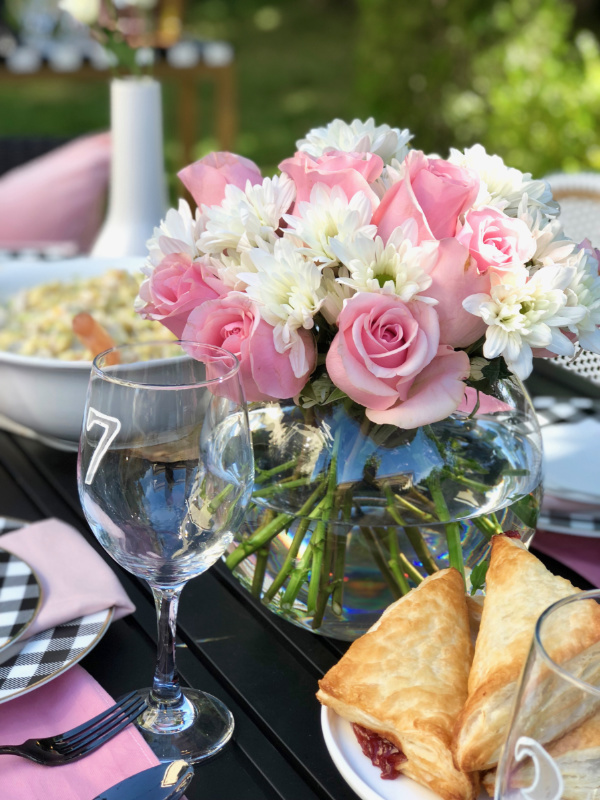 At the end of the post, I have a giveaway for all of you to participate in where you can win a $100 Homegoods gift card! See below for more details. See you next time and Happy Summer! I love to reuse things I have around the house. 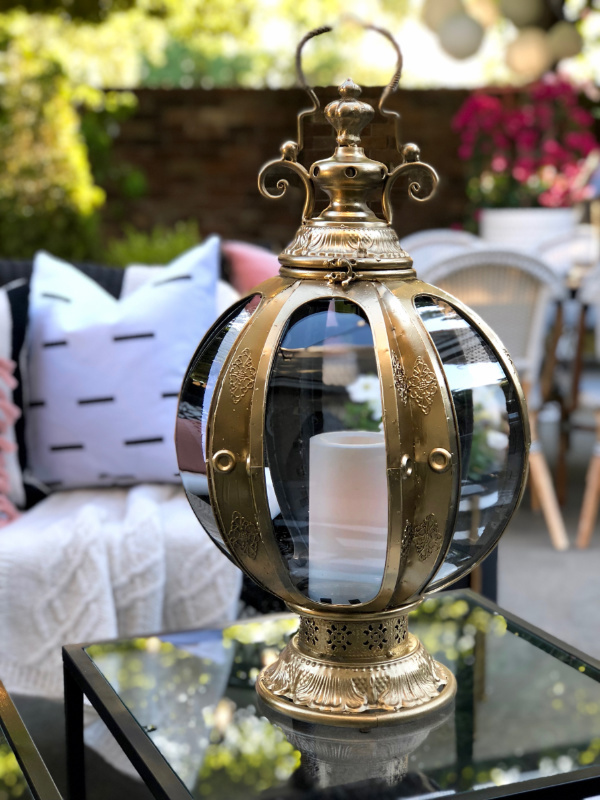 I love DIY and giving old things new life, like this lantern that was old and ugly. My husband almost tossed in the trash and I immediately took it back! I knew that I could make it look brand new. I love the lanterns new boho style! When it comes to Homegoods, you'll always find unexpected things. The small benches I bought at Homegoods about two years ago. As you can imagine, they weren't looking great after a couple of years. The bottom part was a natural wood color and I couldn't decide whether to paint them or not. In the end, I decided to paint them black because the fabric I wanted to use for upholstering was black and white striped. In the end, I was so happy with the results and I absolutely love them! I would use the gift card to decorate a soon to be guest room! 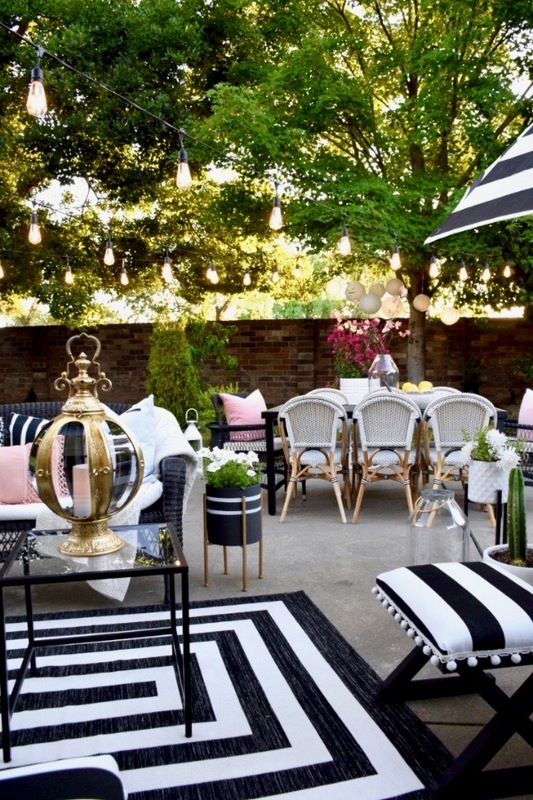 I would utilize the gift card to decorate my outdoor patio for the summer!! Thank you for the inspiration! I absolutely love your patio it is gorgeous. If I win I would use it to decorate my living room. I would LOVE to use the gift card to purchase some items similar to what you are showing in this post! I would also really love to use it on holiday decor as well. 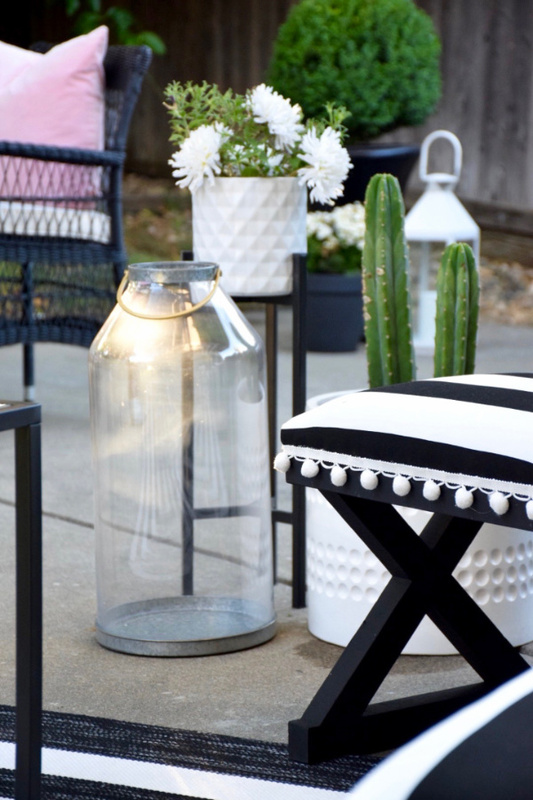 I am redoing my patio currently and on the hunt for some versatile pieces for all seasons! Thanks for a fun giveaway! I would get a new comforter for my bed! 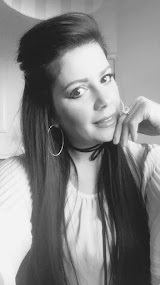 Hi, I am hoping to win the gift card to purchase accessories to compliment all the lovely HomeGoods items I currently have in my home. I love HomeGoods! I'd use the gift card to buy some nice outdoor dinnerware. So glad you saved the lantern! I would buy a rug at Home Goods! Love your blog. I would use the HomeGoods gift card for new summer bedding!! Looking good thanks for the opportunity to win. Beautiful. Thanks for a chance to win. Happy summer. 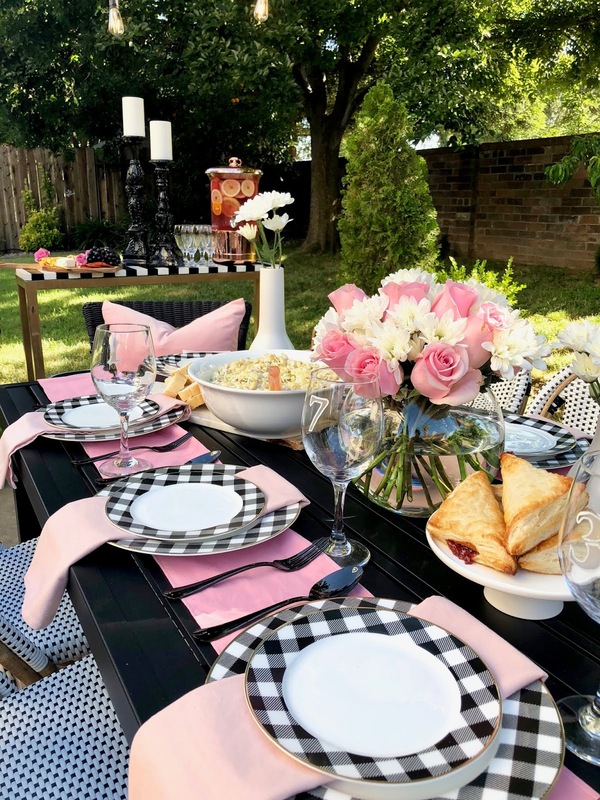 Such a gorgeous set up you created here... perfect for a get together. 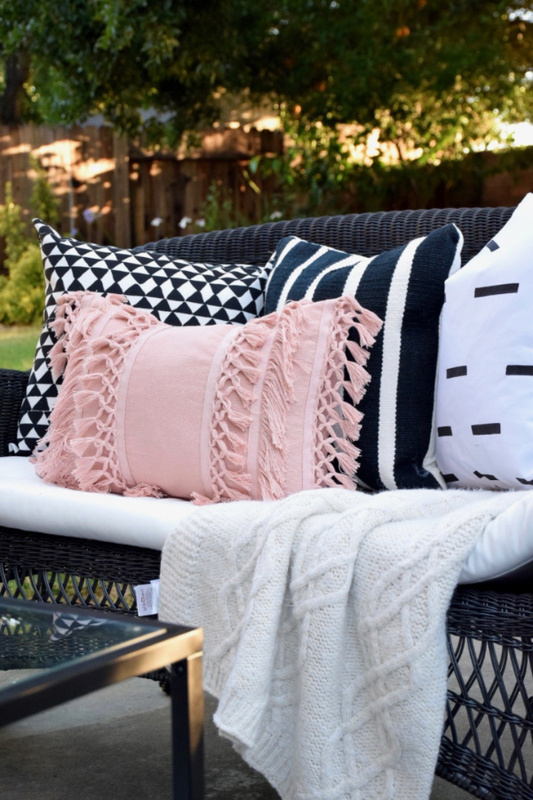 And I would spruce up my tiny back area with pillows, umbrella, throws and great drinks if I win the giveaway! What a lovely patio! I love the pink and black together. Such a fun way to welcome summer. I would love to redecorate my bedroom. I haven’t redecorated in years. Now that I’m a single mom I love to come home to a new cozy room after a hard day at work. 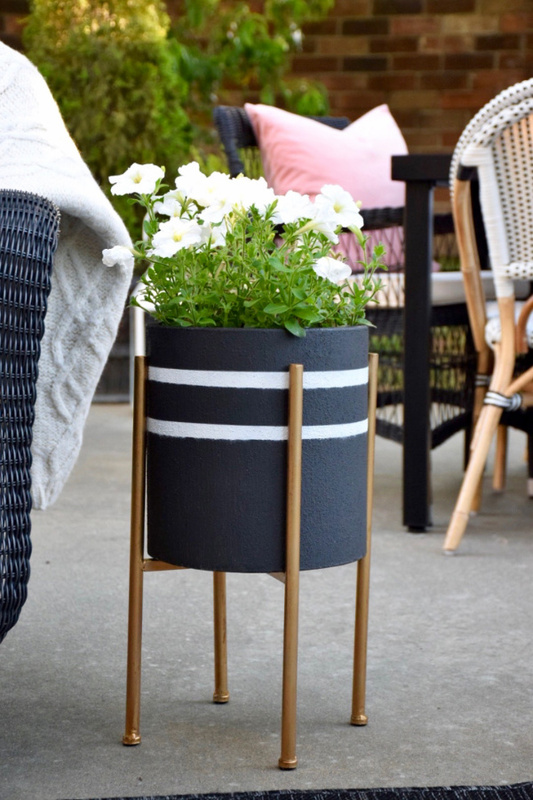 I would get some outdoor decor for my small balcony because the only thing I have out there right now is a storage box. I'm working on a gallery wall in my hallway, therefore, I would probably look for items to finish that! 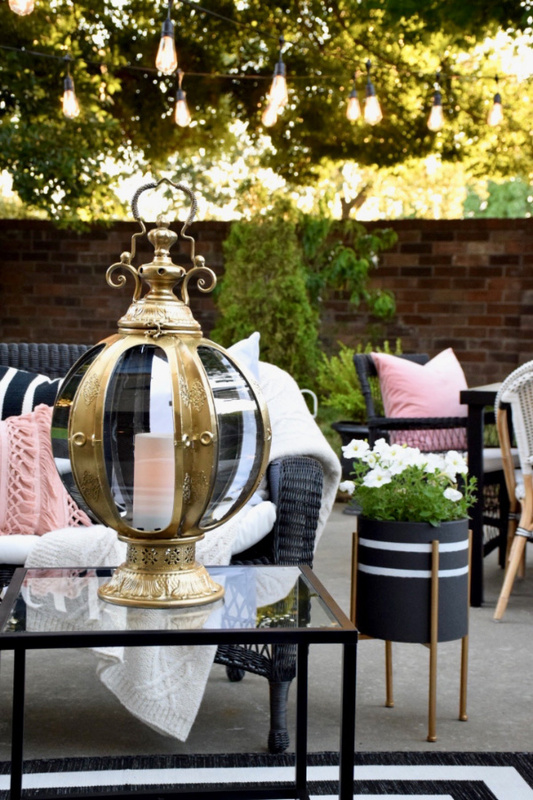 I'm also working on my patio, so I would purchase cushions and lanterns to make my patio more welcoming! 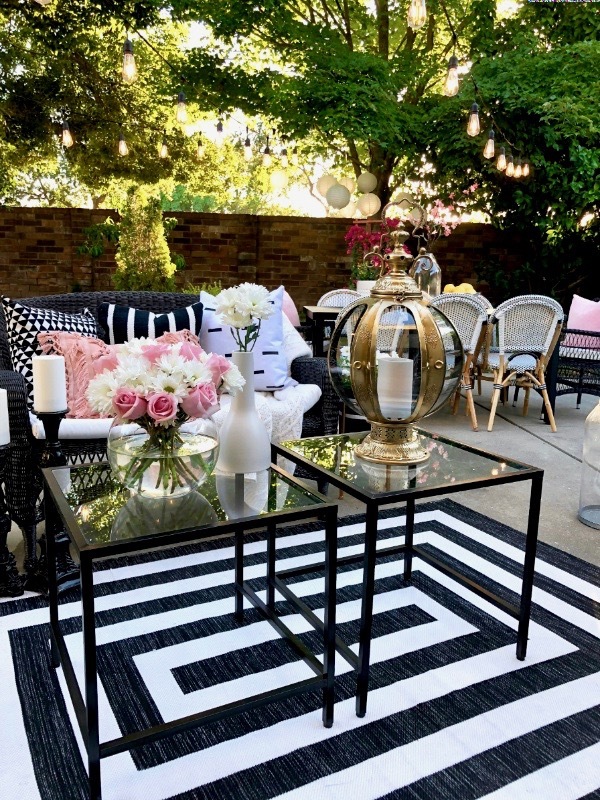 Your patio is gorgeous and I love the black, white, and blush color scheme. Beautiful! I would like to buy a decorative planter with the gift card. Home Goods is pretty much treasure hunting. I don’t go in the store looking for something specific. I look around and see something I like! Your entire home is so gorgeous! If my backyard looked like yours, I’d actually go into my yard. And wow that sign out button is where I expect the “publish” button to be. I had to remember what I just typed! Your yard is beautiful!!!!! The pink pillow is simply amazing!! 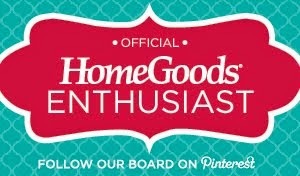 I love Home Goods for our home décor, bunco prizes, and more....great finds, great prices!! Would love to finish up the family room walls with some Home Goods love!! Thank-you for sharing your amazing space!!! 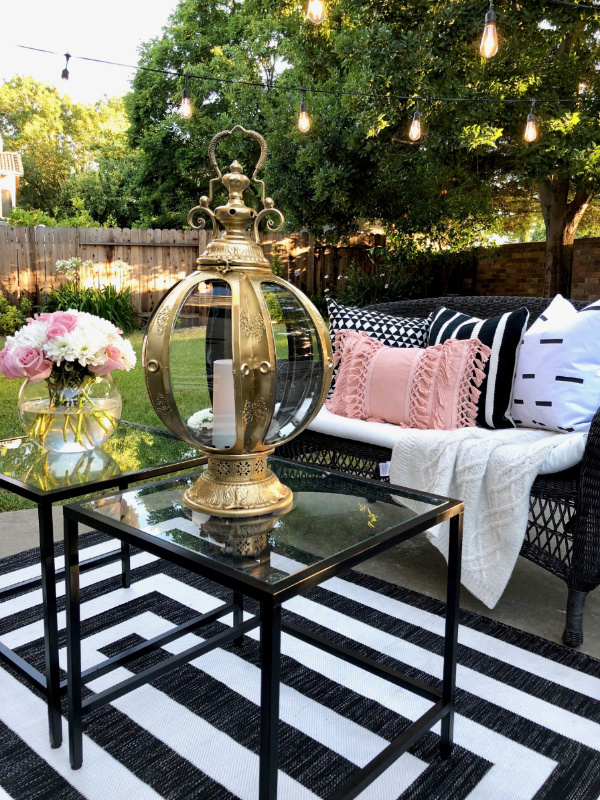 Your outdoor space looks fabulous!! Home Goods is my absolute happy place! If I won, would use to find some art for my entry way. Oh my gosh. Obsessed with the black and white! It's so simple and elegant. I have been wanting a rug for my bedroom from Home Goods but after seeing those beautiful plates that you have I might have to have a few of those! Love the pink and black combination, looks beautiful! I would use it to get some things for my front porch. I heart homegoods! We are in the process of painting our entryway and staircase a different color that will brighten up the space. But when we finish we will need new art and decor. I can’t think of a better place to get it then Homegoods. Loving these colors! I'd use the gift card to decorate my guest room. Wow!! Stunning and love the mix of color with the black and white. buying our 1st home in 6 days so i'd get lots of new decor! 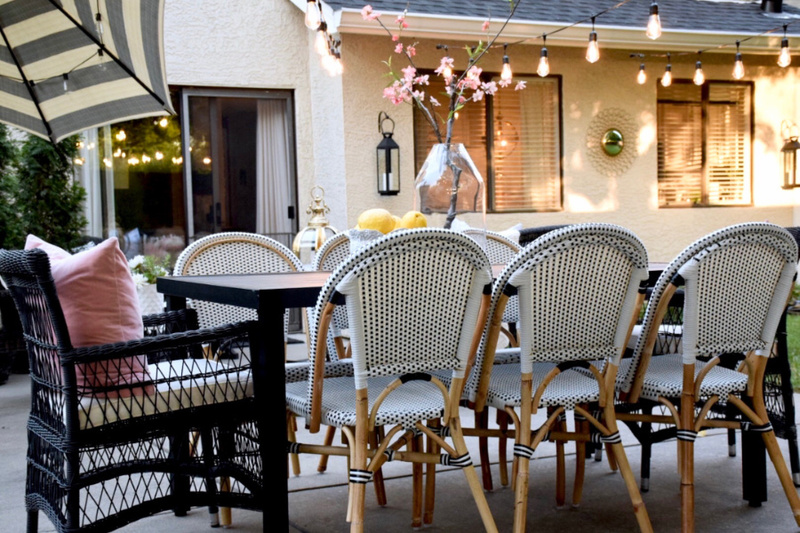 I am dreaming of having an outdoor dining space as inviting as yours! The gift card would give my a good start toward achieving that dream!! 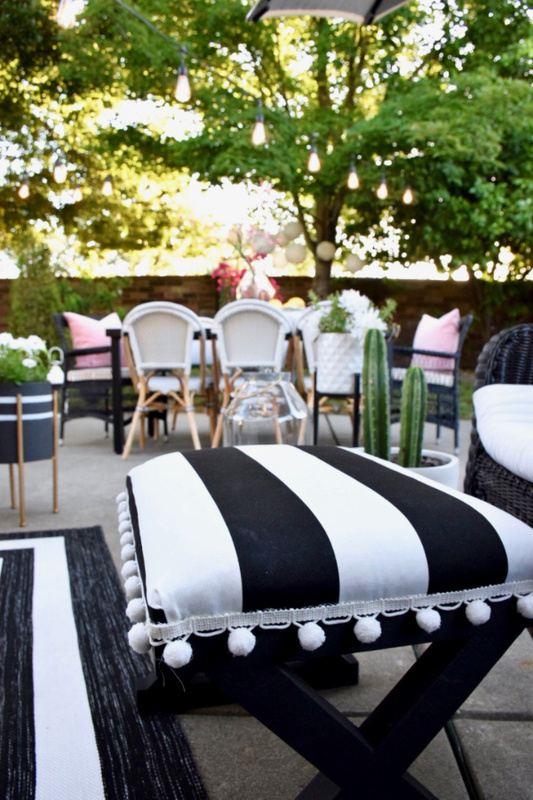 love the black and white color scheme, my patio area could really use some tlc. love the pink and black colors. I love HomeGoods! I'd love to find some things for my daughter's room! 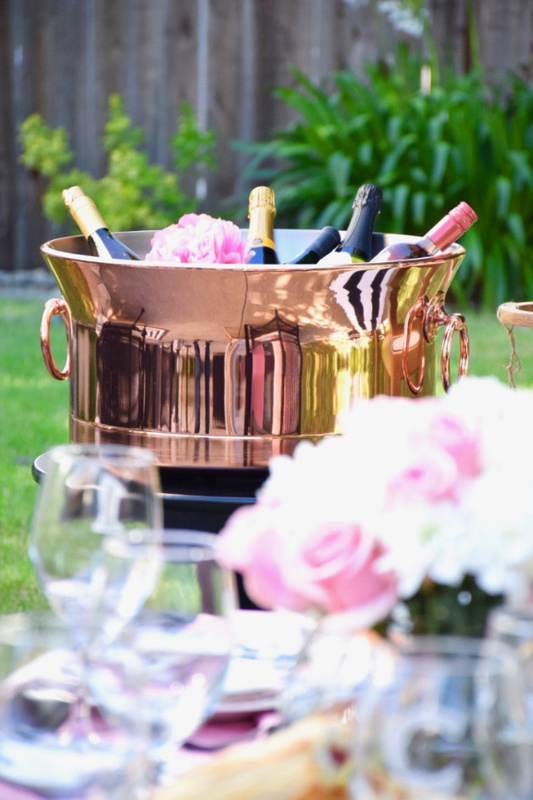 I love your outdoor entertaining space! It looks so inviting, a place that you and your quest would want to stay for hours on end! I would definitely use the HomeGoods gift card to spruce up my front porch. Wow,absolutely beautiful! I love the color scheme and all the different zones you have for entertaining guest. I would use the card to update my patio as well. Thanks! At HomeGoods, it wouldn't go far! �� I would buy some accessories for my basement project or my home office. I would use it towards some new outdoor furniture! 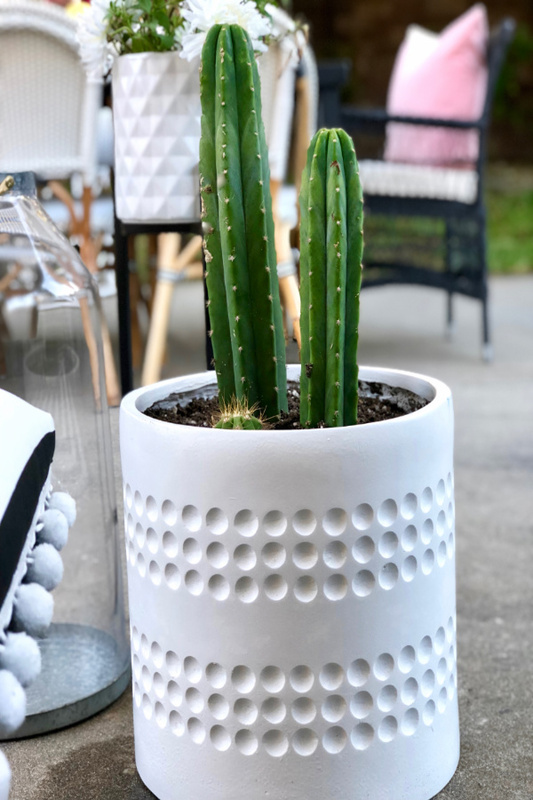 This is the 2nd blog that has featured those cute white circle planters from HomeGoods! That would be my purchase, plus the graphic stripe outdoor rugs - gorgeous. Your patio is beautiful. Thanks for the giveaway. I need to refresh my bathroom. I've been on the hunt for some summery pillows and curtains for my living room! The pillows I have now are from HomeGoods but they're more of a fall/winter type shade. 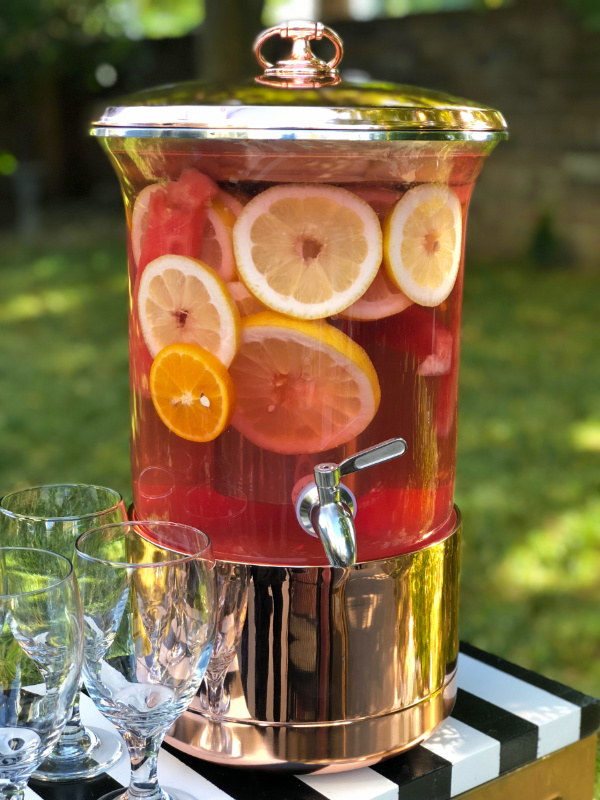 I would love to get some things to throw my own backyard party! I also need some decor for my family room! I would love to have a summer patio! I could use some throw pillows if I could find some! I'd also really like to redecorate my bathroom! I would love to find some holiday decor! 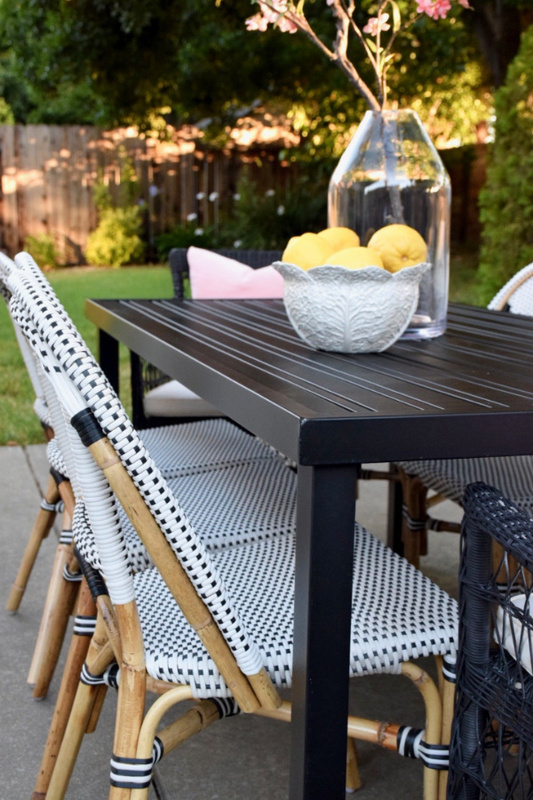 Love your bistro set. I have been looking for one for our deck by the lake. And, my love a dishes is boundless :) Love the checkered pattern you have. Reminds me of my retro skinny slacks that I always pair with hot pink. LOVE it. The pink and black is so unexpected...and refreshing!!! 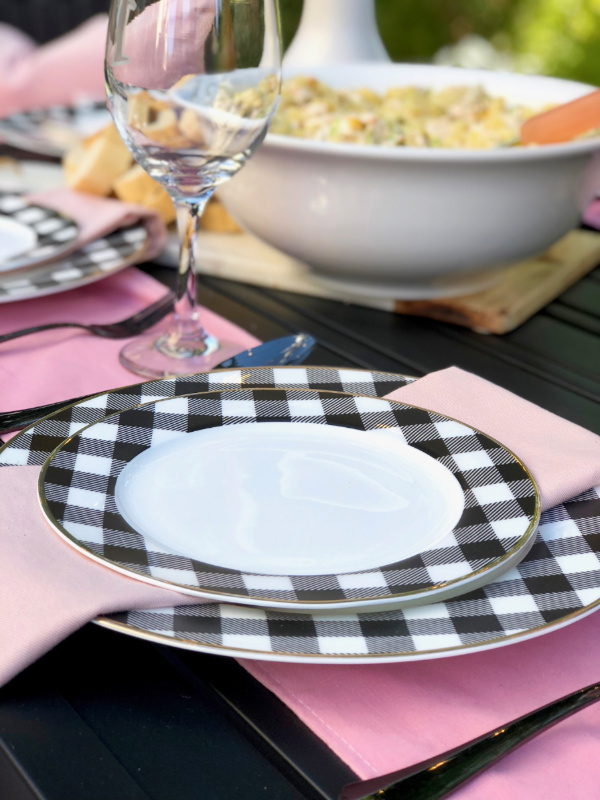 Love the checkered plates! 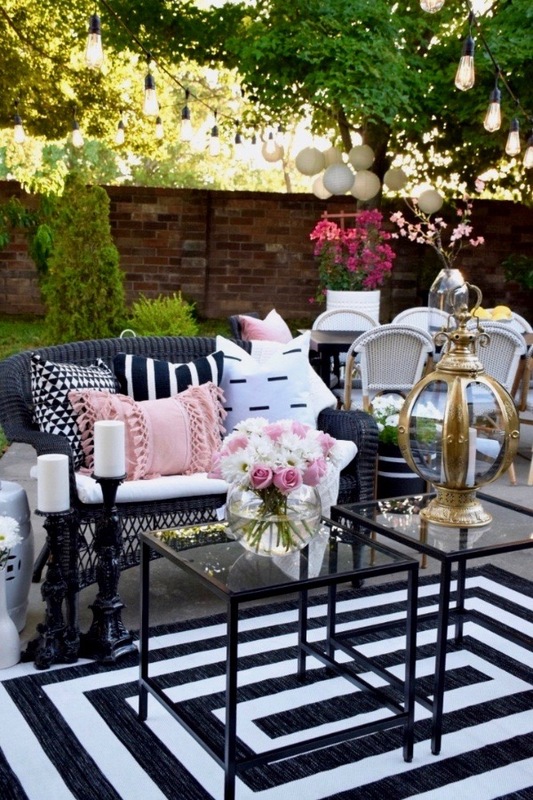 Love your pink black and white color scheme! I love Home Goods and would have so much fun buying new towels and pillows if I won! Need new rugs for when we move. I will also be looking for new bedding when we move. I would use the gift card to buy a rug. I would buy a bistro set or a cute bench for the end of my bed. Fingers crossed! Thank you! hey liz gorgeous space as usual. i would use rhe gift card to spruce up my backyard and make it a place to entertain and the children to enjoy this summer! Beautiful patio... I love black and white decor! Thanks for the chance to win! This patio is so great! 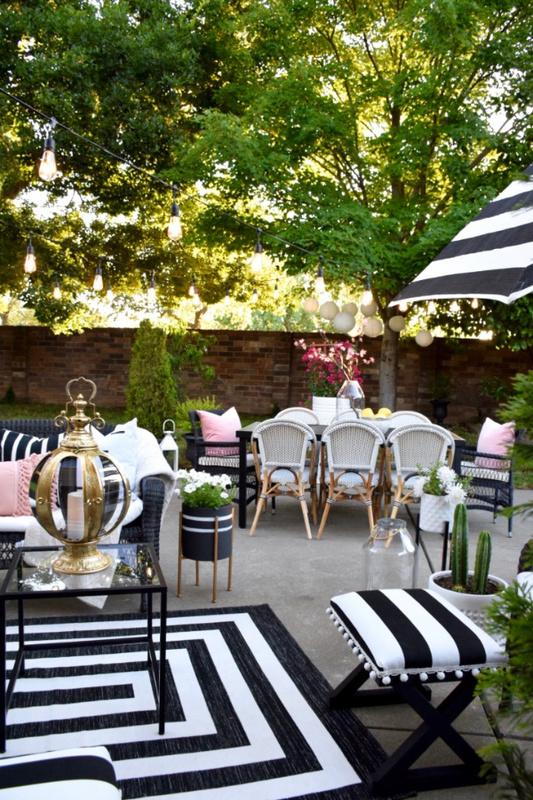 I love the black & white with pops of pink! If I won the Home Goods card, I'd use it for throw pillows, an area rug for my bedroom, or something fun for my patio. I am in love with your yard! It simply couldn't be more beautiful! Since I am on a limited budget, I definitely co7ld use the HomeGoods card to perk up my patio! I would get some new items for my back patio. I would buy new bedroom decor and bedding. I would gift it to my son for his house-warming. I would use the gift card to kick off the decorating of my baby room. A Home Goods store just opened up a mile away. I would love this gift card because I am starting up a food blog and need cute stuff for my photographs. ‘Tis the season - I too would add a foundation piece to the patio. Thanks! I would be happy to buy anything at Homegoods!! Possibilities are endless! New house! Would use for fun accessories! 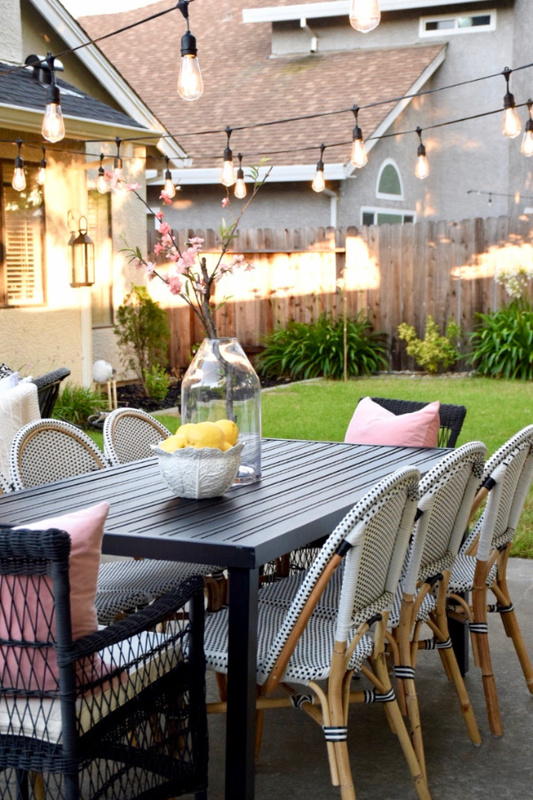 I would spend the gift card taking my time to add finishing touches to my patio & kitchen...I would genuinely just like to treat myself by doing what makes me happy...giving my space the vibe I need. I am in love with the space you have created! I love black and white with touches of pink. It is gorgeous! 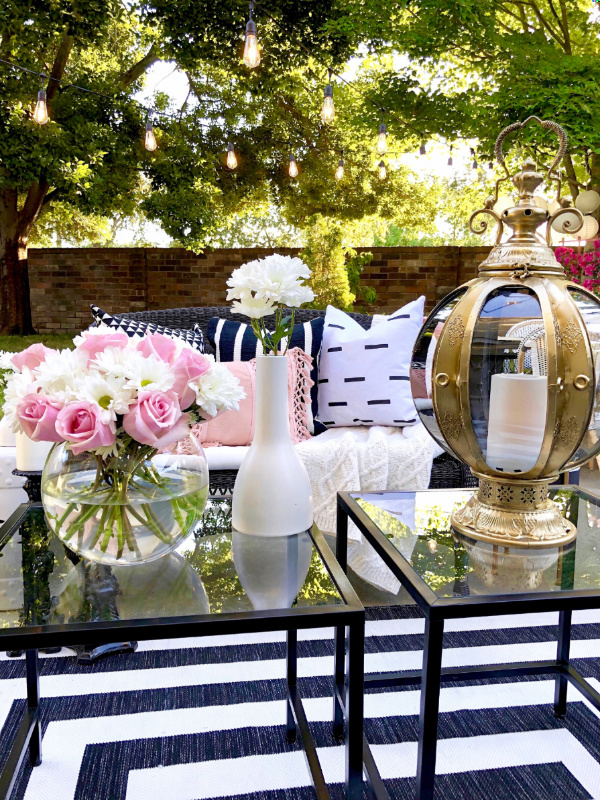 You outdoor entertaining space is gorgeous! 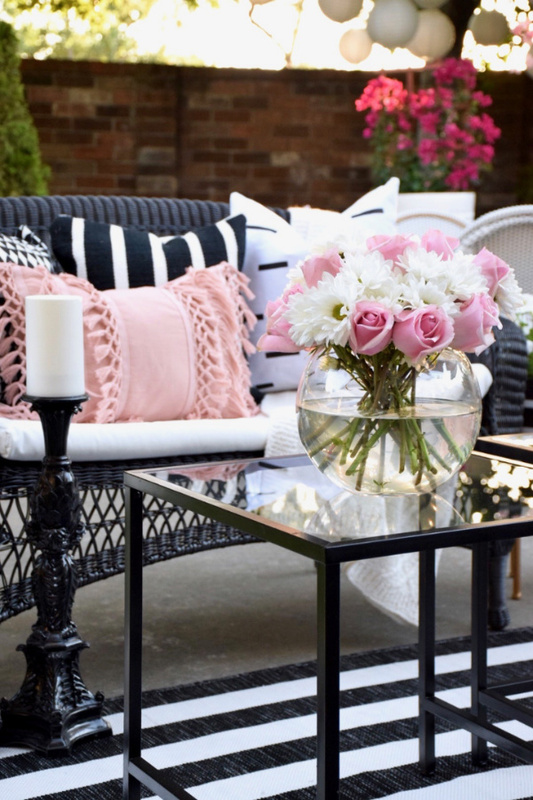 Black and white is a favorite for me, and the touch of pink and blush is lovely. Thanks for the inspiration and a chance to win the gift card. I'd get some new lamps for my living room. I need end tables for my living room! I could also really use some finishing touches around my front door! I would get bed linens and towels with the $100 GC. Your place is ready to party! Love it amiga! I need a bedroom refresh so hats what I'd use the gift cards for! I'd like some new sheets and blankets. I would love to win this giftcard! I am a single mother who just had my first son. I would use the gift card to put it towards creating a nursery my son deserves. Please consider me for this gift card. I would love to buy my son baby blankets, swaddles, bottles, etc. All the things a newborn needs. I really need this gift card for my sons newborn needs! It would mean a lot to win this. I'm a single mother so I don't have a lot of extra money to spare. This would help me out greatly! Please pick me! Truly need the gift card to purchase things for my son. As mentioned this would be a HUGE help! I LOVE this look! Especially the color scheme. 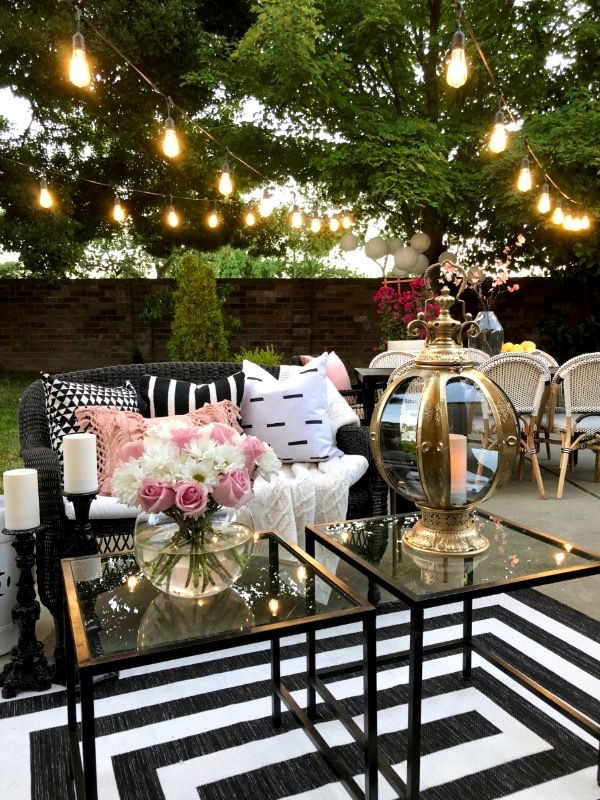 I usually see a lot of green, orange, and yellow on backyard patio decors & ive never been a fan of those colors but the way you patterned the black & pink with a hint of Gold, So gorgeous! If chosen, I would use my $100 gift card to purchase a new Rug! I had purchased the most beautiful white and Grey Shagg Rug a year ago from HomeGoods and it was recently stolen from a fraud carpet cleaning company. My backyard looks a hot mess dot com I would use the gift card to add some pizzazz with an outdoor rug and other decorative items. I am in the middle of a patio makeover! I would use it to buy some patio decor! I am in love with lemon decor! My apartment was already leopard print and yellow and so lemons just make sense. I would use the gift card to finally finish my space! 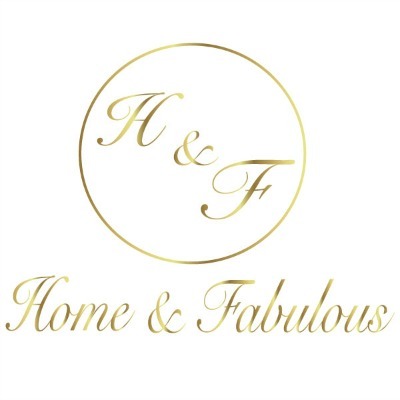 It would be great to win a Home Goods gift card! I would use the gift card to make some updates to my kitchen. Your blog is so fun! My daughter just moved to a nyc apartment and oh how handy the gift card would be! 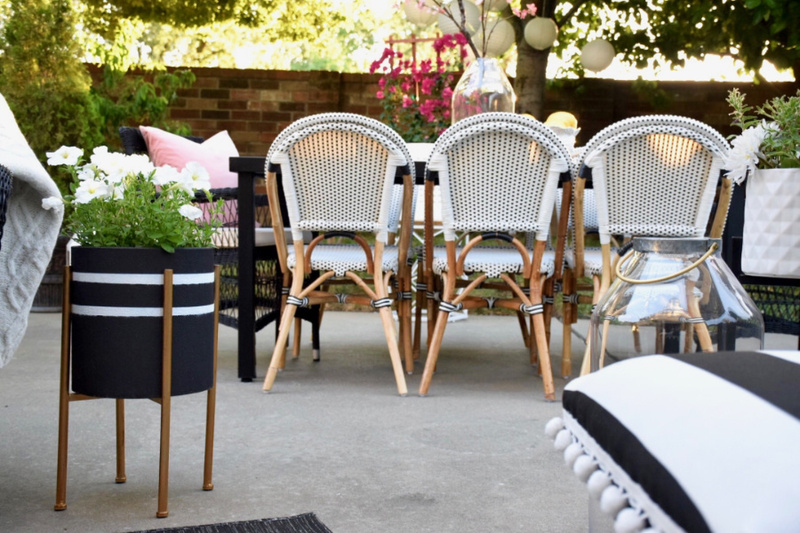 I love Homegoods and I love your backyard, I need Bistro chairs. 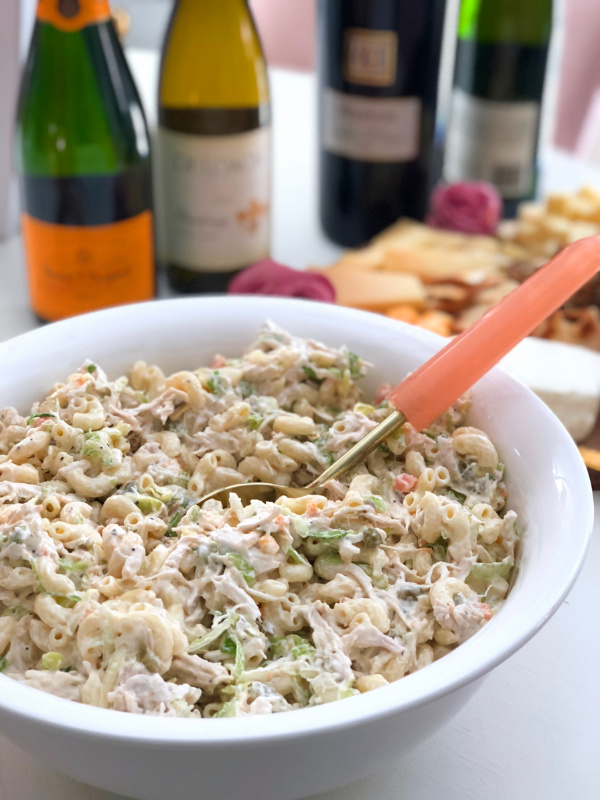 The macaroni salad looks delicious! Just beautiful! 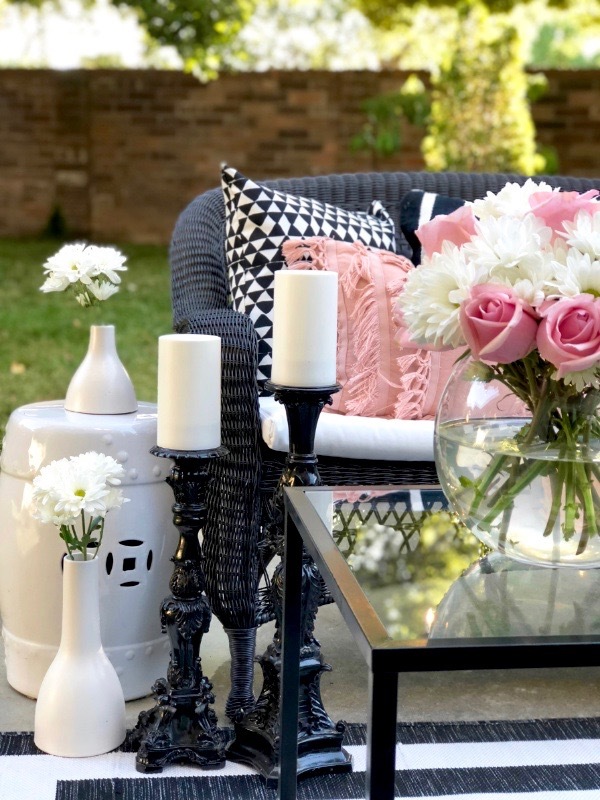 I love all the new, fun ways you design with the colors black, pink and white! 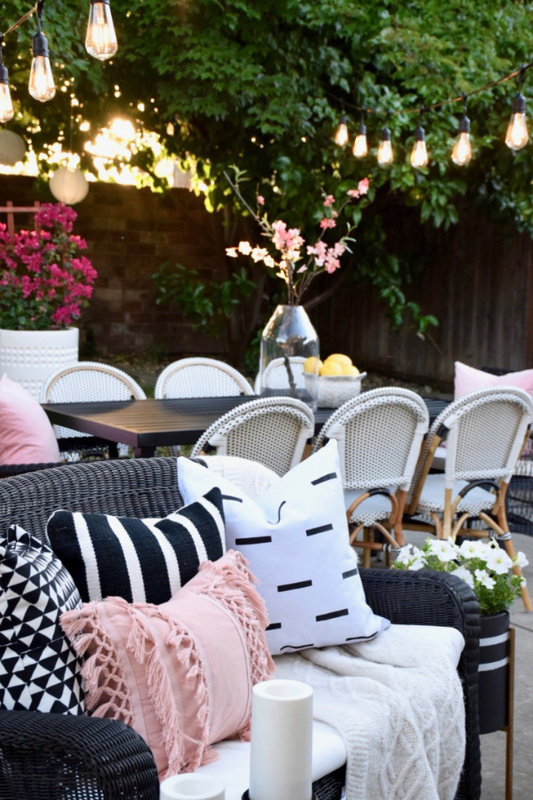 I am absolutely inspired to redo my patio and would totally use the gift card for that! Just found your Instagram and I already love it so much! I have been wanting to refresh the decor in my kitchen to give it a modern but approachable look! Some new pillows for the living room would be nice!